And doesn't she look gorgeous. Rocking that look Bailey! Bailey, I just LOVE your dress! I have that same owl print in a hoodie! You look very cute in it. That's a very cute dress. You wear it well Bailey. How fashionable. 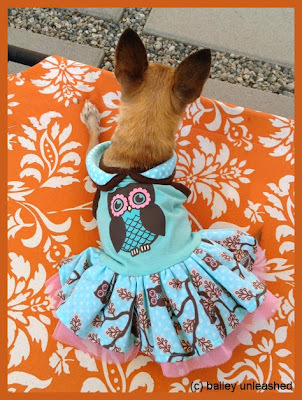 Bailey, you are rockin' that dress! Oh my dawg! Could we go on a date? You look just lovely in this party dress. The color is perfect for you too. What a cool owl dress!!! !